Our health and the well-being of planet Earth are closely connected. Every individual, without exception, regardless of personal circumstance, depends on the land’s resources for food. Since I can remember, my family has experimented with food to create a healthier diet. I have memories of trying new recipes to somehow make stringy asparagus more tasty: some delicious; others, not so successful. Of toddling with my younger siblings down the block in our little red wagon to the library parking lot, where, every Wednesday morning, rain or shine, the local farmer’s market would be in full swing. Of eagerly presenting to my parents my copy of the food pyramid from school and monitoring my family’s fruit and vegetable intake to ensure we were eating according to the suggested guidelines. Although the pyramid graphic has since given way to “My Plate,” the fruit and vegetable categories of my youth remain the most vibrant and exciting collections of reds, yellows, greens, and oranges of my life today. Years later, full of those vivid memories, I interned with the American Farmland Trust: a national nonprofit dedicated solely to preserving the nation’s farmland, protecting farmer’s ownership of that land, and promoting conservation and sound farming practices. The organization boasted many success stories, but the stream of distressed farmers was endless. In the mail we received scribbled, barely legible notes written on the bottom corners of our promotional materials in the shaky handwriting of aging farmers. They described recent hip surgeries and degenerative arthritis which prevented working their beloved farmland, and the resulting, crushing medical debt that consumed their resources and means to administer new conservation techniques or technologies on their land. Many were sadly resigned to being absorbed into industrial agricultural companies. Suddenly, the colorful produce of my childhood, delivered by smiling, friendly farmers, was replaced by machines churning out pesticide-laden crops, grown in synthetic fertilizers, weeping pollutants into the soil and water. After months of these stories, I decided to get a hands-on experience, in order to truly understand the world of small farmers. 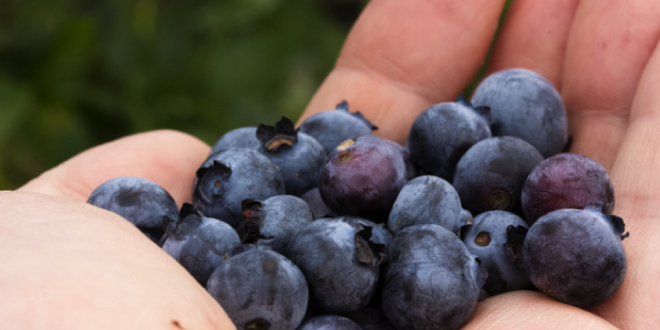 After exploring various options, I chose to take part in the WWOOF (World Wide Opportunities on Organic Farms) program in New Zealand, and found an opportunity to work on a blueberry farm with two generous hosts, Buffy and Justin. Every morning, Buffy and Justin rose early, and tirelessly worked side-by-side with the volunteers. I became accustomed to the salty smell of Justin’s organic seaweed fertilizer spray, and the sight of Buffy, covered in dirt, happily humming as she collected soil samples. I learned how to use the composting toilet, and spent the days handpicking blueberries or carefully removing weeds around the water-efficient irrigation systems. It was an enriching experience; not only by teaching me sustainable practices, but also revealing that there are organizations that any interested individual can be a part of, without regard to previous agricultural background or knowledge. The only requirement is the desire to get involved. Now back at home, I cherish that experience – composting food waste in my backyard, and learning how to repurpose it for my budding blueberry plot.